I’ll test your water and inspect your well! You may view a full list of all the inspection and repair services on our Water, Well & Pump Services page. We serve West Central Wisconsin, including the following counties: Barron, Burnett, Polk, St. Croix, Pierce, Dunn & Washburn. If you reside in other counties nearby, please feel free to call for travel estimate. Do you have questions? 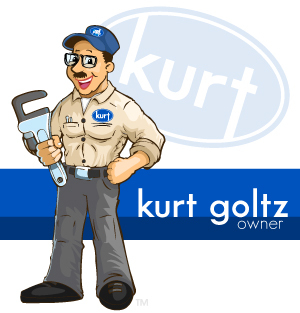 Feel free to give Kurt a call, or visit our FAQs page to read our most common questions and answers that may help you. The Wisconsin DNR website provides an array of resources on well water, but we’ve sorted and provided the links to the most useful ones on our WI DNR Resources page. Additionally, we will post new information and tips in our Tips and Information blog, so feel free to check back frequently on an ongoing basis. Call “A Well Pump Guy” TODAY! I look forward to meeting you!